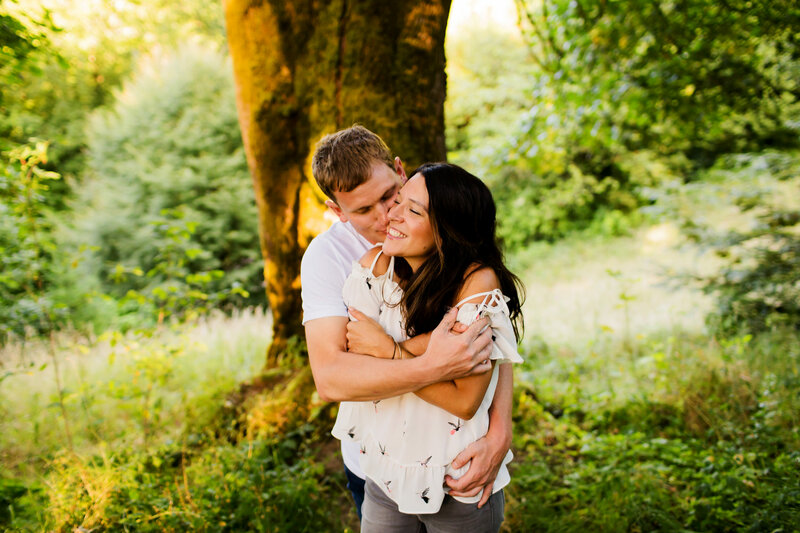 We recently shared Beth & Tyler’s Coria Estates wedding (we like to go backwards on this blog…) and now so happy to share their Hoyt Arboretum engagement! 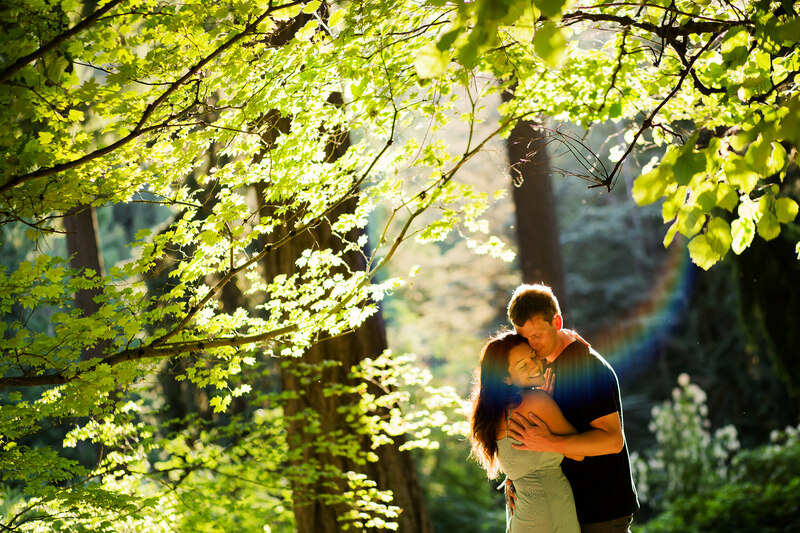 Hoyt Arboretum is one of our FAVORITE places to take photos. 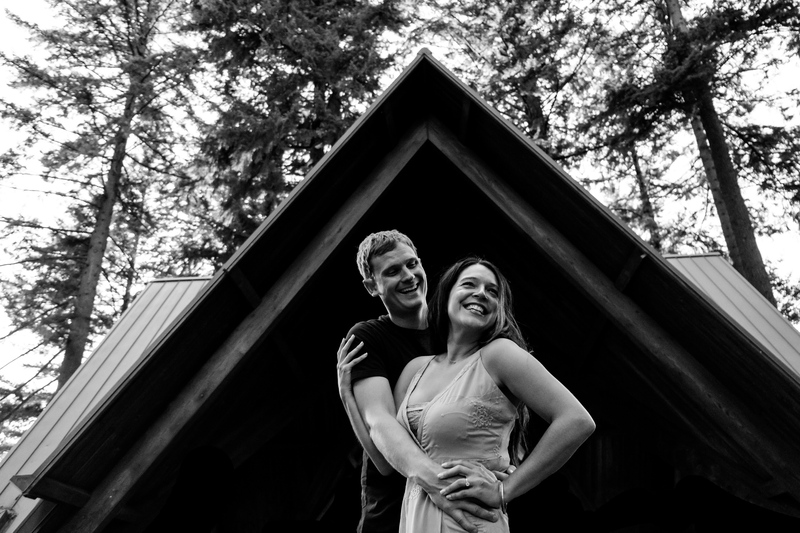 We photograph couples, families, headshots, and weddings here. The reason is simple and obvious. 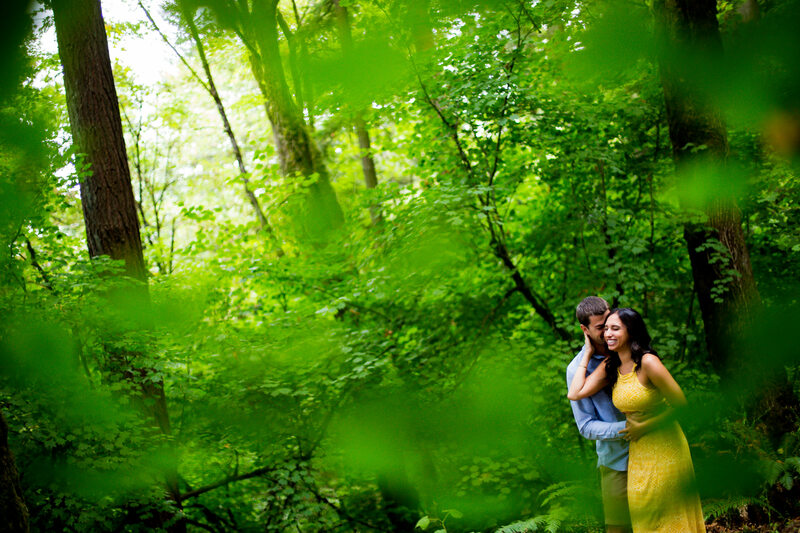 Hoyt Aboretum is gorgeous and encompasses so much of the natural beauty that we all love about living in this area. The park sprawls many acres which means you can get lost with a couple and never feel like it’s crowded- even on a weekend. 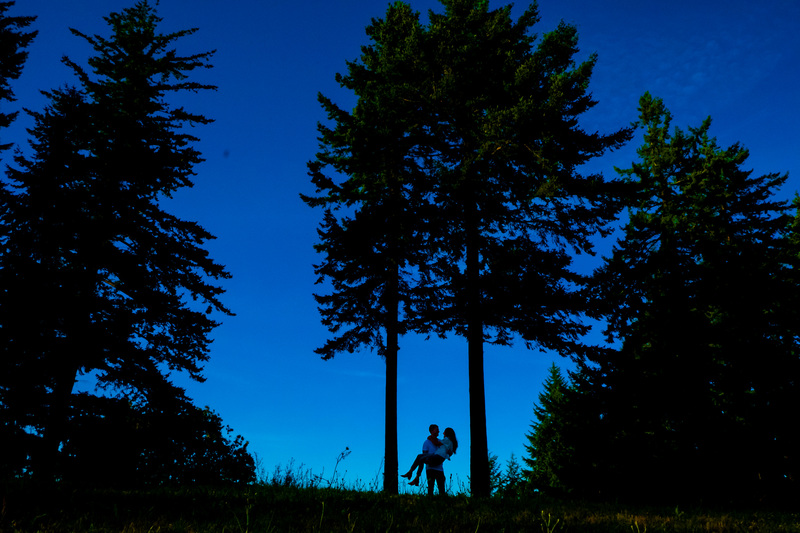 Combine this amazing atmosphere with an adventurous, wine loving couple like Beth & Tyler and you have yourself a Hoyt Arboretum engagement session made in heaven. 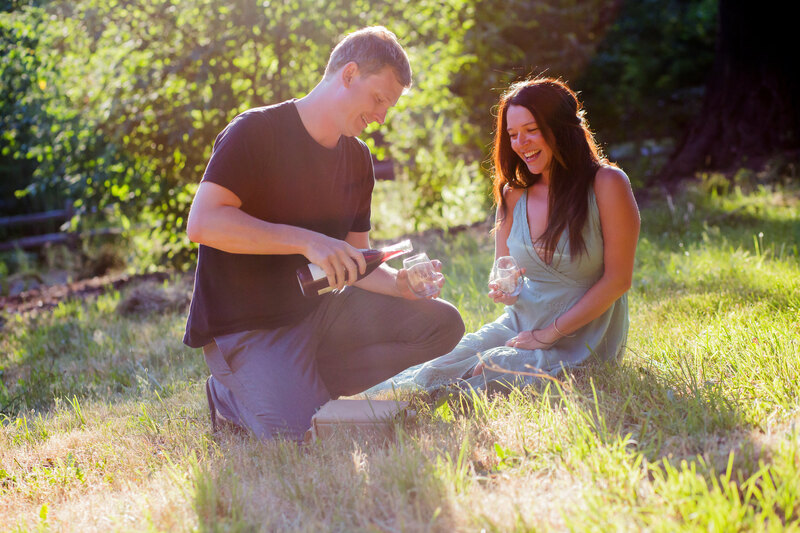 Beth works for her family winery, Coria Estates, so after spending an hour creating some beautiful images at just before sunset, we plopped down to pop open a bottle of Coria Estates’ finest and have a toast. Months later, Daniel photographed Beth and Ty’s Coria Estates wedding where more of the same magic and love was everywhere, and they also had the most amazing sunset light for their wedding too! 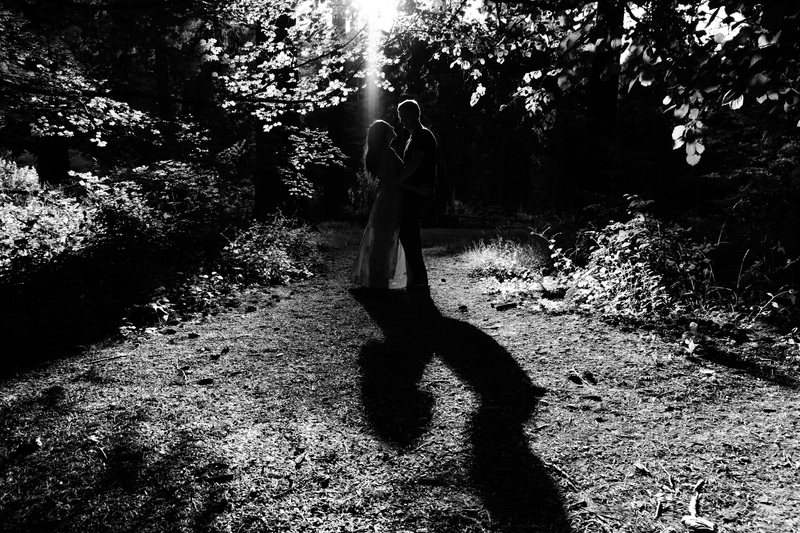 Portland wedding photographers rarely have the chance to photograph in so much sunlight (can I get an amen?) 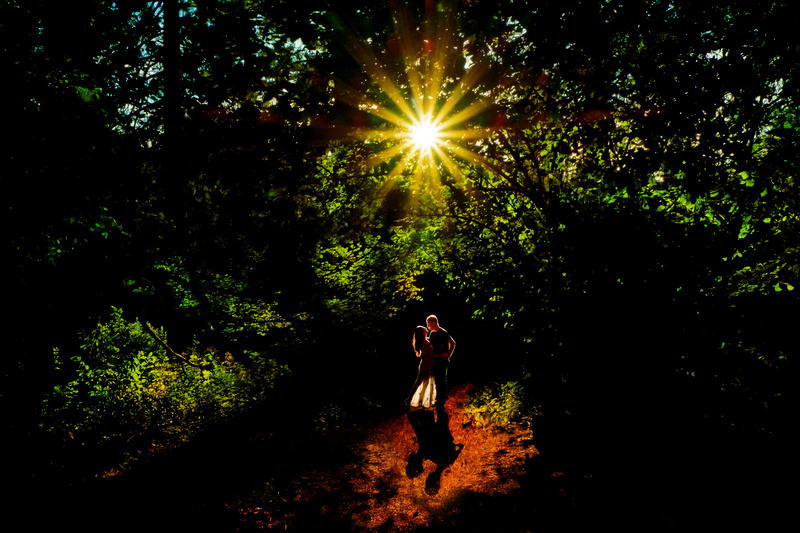 so Beth and Tyler definitely lucked out that both their engagement session and wedding were blessed by the sun gods. Beth & Tyler’s engagement session was easy and relaxed, dripping in beautiful light and made even sweeter by the love and affection they had for one another. What more could you ask for?